SOG® S31 Paratool Multi-Tool. Operates at 140-180° angles for excellent versatility in the field. The only Multi-tool that allows you to operate at a variety of angles! With a unique, patented opening style, the Paratool is indispensable in tight spots. Features comfort grip handles for dexterity and maximum grip... makes every task a little easier. 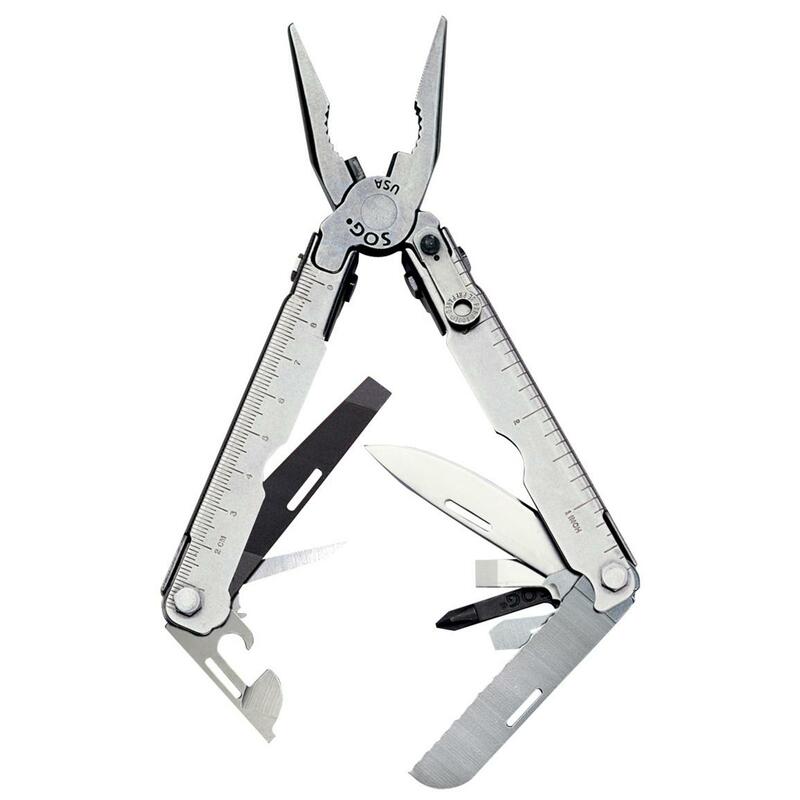 Features good-looking polished stainless steel finish, and comes with a nylon sheath. Measures 4 1/3" closed and 6 1/5 open. Weighs 6 1/5 oz. Snag this sweet Tool for LESS! Order ONLINE Now!